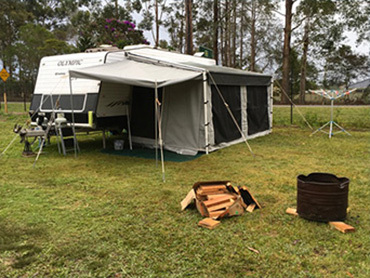 If you are looking for accomodation when you are staying in Wauchope, our fabulous campground is a relaxing and inexpensive place to stay! We do have a new amenities block with hot showers and toilets. Dogs are allowed but need to be on a leash at all times. Camp fires are allowed using our drums. Please see caretaker. We are located next to Timbertown. If wanting a powered site in school holidays or long weekends please send us an email as the powered sites do go quick at these times.